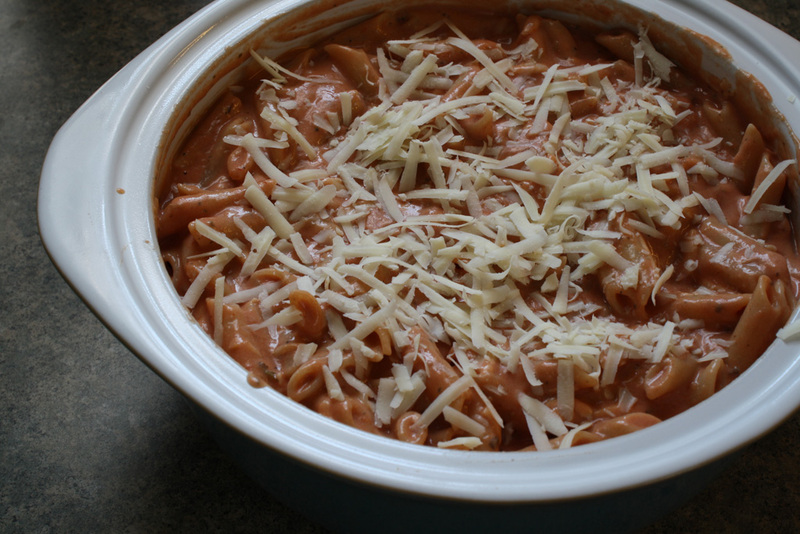 Pasta Bake with Marinara and Alfredo! 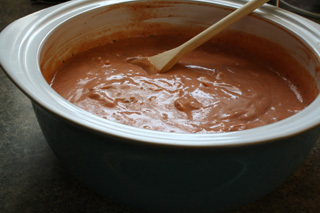 My husband is always mixing sauces together to create *new* sauces. After mixing some alfredo sauce with some spaghetti sauce, he declared it tasted like "vodka sauce, or whatever they call that." Inspired by his creation, I decided to use my homemade marinara sauce, mix it with a can of Alfredo, and add some grated cheese. Thus, the Pasta Bake was born! 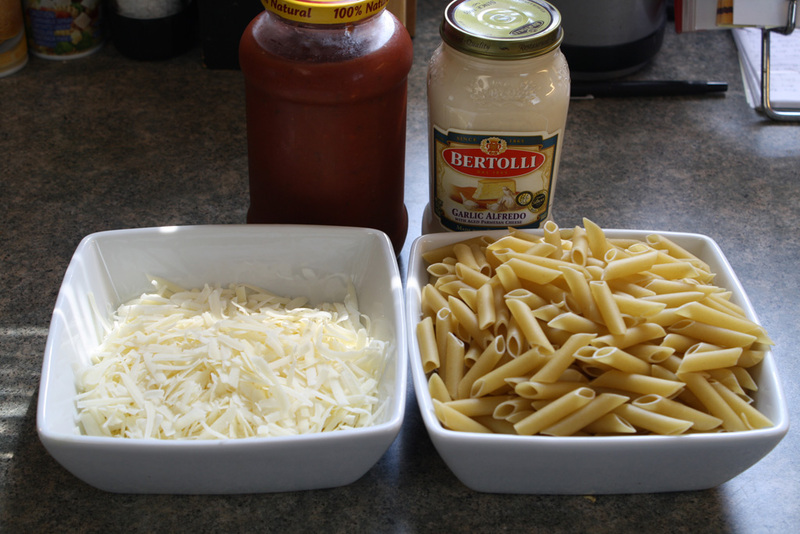 Make pasta according to directions; bring water to a boil, add pasta, boil for 6-7 minutes or until noodles are tender. Meanwhile, mix the can of marinara sauce with Alfredo sauce. Add the Romano and Asiago cheeses, reserving 1/4 cup for the top, and mix together. Drain the pasta and add the sauce mixture. Sprinkle on the remaining cheese. Preheat the oven to 350F and bake in a 9" by 13" pan (or large casserole dish) for 20-25 minutes. That's it! Tip: you can make this meal in advance and refrigerate it until supper. When you're ready to cook, preheat oven to 350F and bake for about 25-30 minutes. 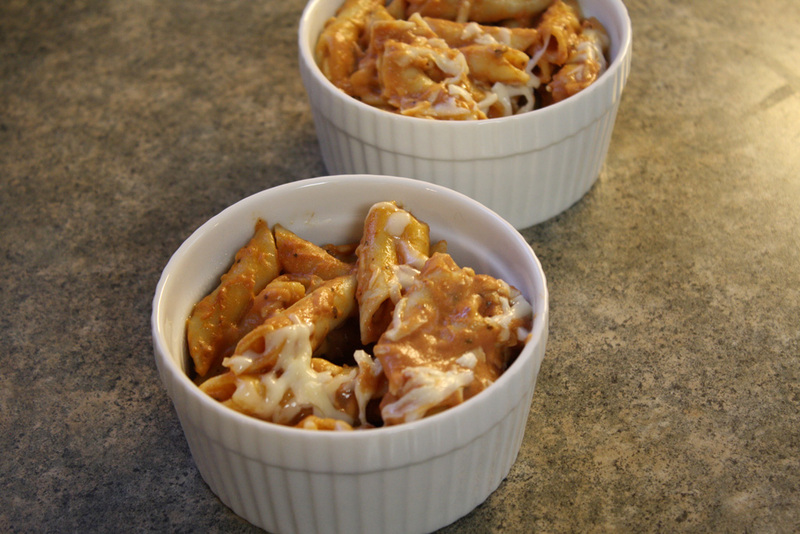 This meal goes great with a side salad or a piece of garlic bread! And it's so easy even my husband can handle it. Enjoy!